Music theory is an essential component for learning the fundamentals of music, and being able to truly excel at playing an instrument or even singing. Learning music theory sets students on the right path to understand how music is written and how to interpret musical notes. It’s what allows both student and composers to communicate with each other when it’s time to perform. When it comes to learning an instrument, theory teaches and allows students to comprehend the importance of notation, keys, scales, intervals, pitch, melody, harmony, and more. Read on to learn more about the importance of music theory and why it’s such an integral part of music. Music theory is the study of what music is, and how musicians and composers make music. Music theory is theoretical and philosophical, but it’s also practical. It’s understanding when lowering the third by a semitone results in a minor chord or progression, what makes a note pairing dissonant, or how to read and play syncopated rhythms. Essentially, music theory allows students to understand why some things sound good to our ears, and others don’t. It provides the fundamentals to play and compose music. 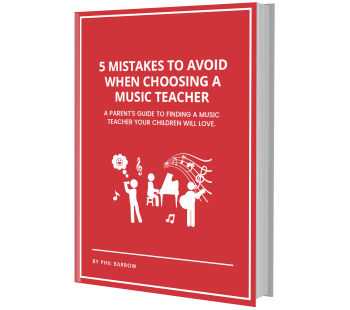 All students have some ability to pick up sound and melodies quite naturally, even without the reference or comprehension of theory. Maybe you hum pleasant little ditties to yourself, can tap out a steady drum beat, or perhaps you even have a perfect ear. But most music students need training and practice. Music theory provides a deeper understanding of the process behind composition through notes, scales, intervals, keys, and why each component is important for composition and sound. When students begin to learn about the fundamentals of composition and theory, it gives them the freedom and ability to learn music independently without the guidance of a teacher or having to memorize a melody in order to play it. Without the ability to read music, they won’t gain the aptitude to ever learn or play a piece of music if it has never been recorded or heard yet, nevermind write a song of their own. With a solid foundation of theory, students can begin to compose and improvise on their own. By understanding the ingredients that went into producing a piece of music, students have more freedom and control over what they can create. By understanding those ingredients, they can break them apart and switch them up in order to personalize sounds. Students can write their own songs and are able to get more creative with their musical practice, which makes it’s much more engaging and fun. If you or your child is considering learning a musical instrument, musical theory is the fundamental backbone behind the learning process. Incorporating music theory into your private music lessons can give you a boost should you wish to study music at the university/college level, pursue music composition, or if you just enjoy learning the theory behind the songs you know and love. If you’d prefer to learn chords and songs without the theory behind it, that’s fine too. At Resound School of Music, our teachers are happy to provide music lessons on your terms. Book a free consultation to learn more about our at-home music lessons! We serve the Metro Vancouver areas of Surrey, Langley, Burnaby, New Westminster, Coquitlam, and more!